Sabina Plamenova morphs from Subeena into Alis for her 1st self-released LP of raw, rickety-wired techno-pop. 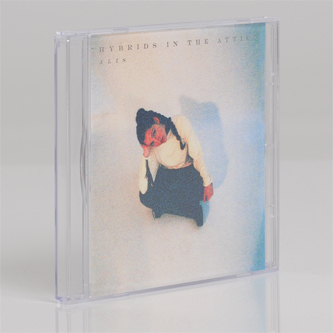 'Hybrids In The Attic' is a haunted blend of her own vocals and gritty electronic experiments adopting elements of dubstep, UK A.I. styles and technoid outernational themes - a singular and unusual style perhaps best compared with the likes of Leila or Björk. From the distanced house of 'Kalim's Revenge' to the Massive Attack-gone-techno styles of 'All It Takes Rmx', to the dreamy London ethno-futurism of 'It All Goes' with shades of Maria Minerva about it and the bleeping house strutter 'Timebomb', it's unmistakably rooted in the hazy, darker end of the spectrum. For sure this is an accomplished record = interesting moves from a clearly talented producer.